Just Announced: The 2019 Diocesan Convention will be November 8-9 at the Lynnwood Convention Center. This is Us – a community of faith comprised of over 100 churches and 26,000 members. This is Us – established in Western Washington since 1853. This is Us – continuing to move forward with new vision and new purpose. This is Us – centered within our local contexts. This is Us – our diverse communities connected and networked with one another. This is Us – forming Christian leaders through sacrament and service. This is Us – the Episcopal Diocese of Olympia. 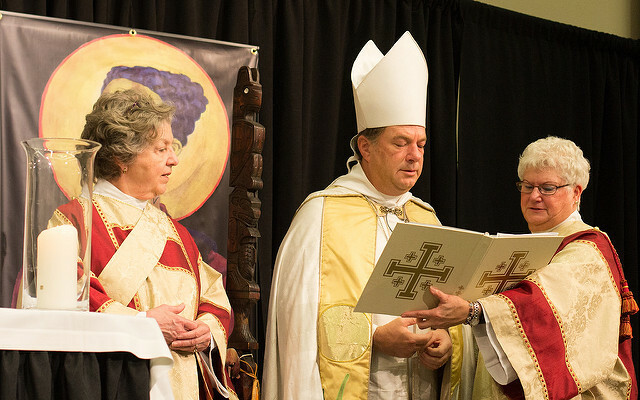 The 108th Convention of the Diocese of Olympia was held October 26-27 at the DoubleTree by Hilton, Seattle Airport, looking back over the history of our life as a diocese and looking forward to the journey ahead, living into our new vision together. The Diocesan Convention is held annually for clergy and delegates to conduct diocesan business. This includes electing people to various offices and deputations, admitting worshiping communities as missions or parishes, and voting on resolutions. The Bishop also gives an annual address. All resources and forms for submitting resolutions and information on the open diocesan governance positions may be found on the 2018 Convention page.